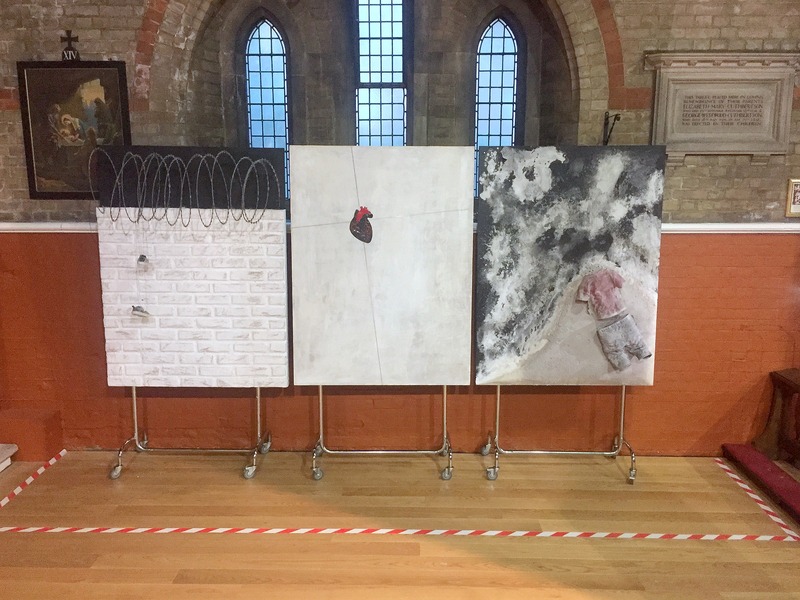 Left painting is a white brick wall with razor wire coiled at the top and a pair of children’s shoes dangling. Centre painting has a white background, on which is a thin silver cross, at the centre of which is a black and red human heart. The right painting shows crashing waves on a beach, where there is an empty child’s outfit of t-shirt and trousers.